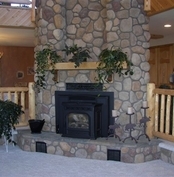 Colorado Tapestry is an expression of how the many colors, shapes & textures of nature can be combined to make this unique Colorado log home property truly a One-of-a-FIND treasure! From this spacious 5,735 SF custom ranch, experience a showcase of incredible 360 degree views: rolling valleys, snow capped mountains, pine filled hillsides & amazing geological granite rock sculptures that will both inspire and humble you. From its quaint covered porches, you will welcome guests of nature such as the colorful hummingbirds, graceful deer and majestic elk. Do not be surprised also by the bighorn sheep traversing the nearby rock formations. 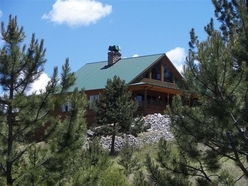 This custom log home is immaculate and offers spacious living throughout its main level, loft area and completely finished walk-out lower lever. 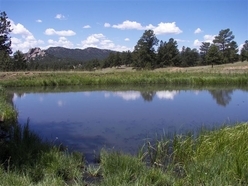 Located within a gated ranch, Colorado Tapestry also offers private fishing in a stocked pond and is close to many area recreational activities. 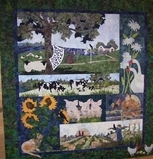 Cover yourself in this beautiful "Colorado Tapestry"!